Kingdom Hearts III has been desired since the launch of Kingdom Hearts II back in 2005, and it is worth the wait. The adventure is full of breathtaking locations, diverse and incredibly designed enemies and bosses, and a soundtrack that mixes together and old and new musical scores. 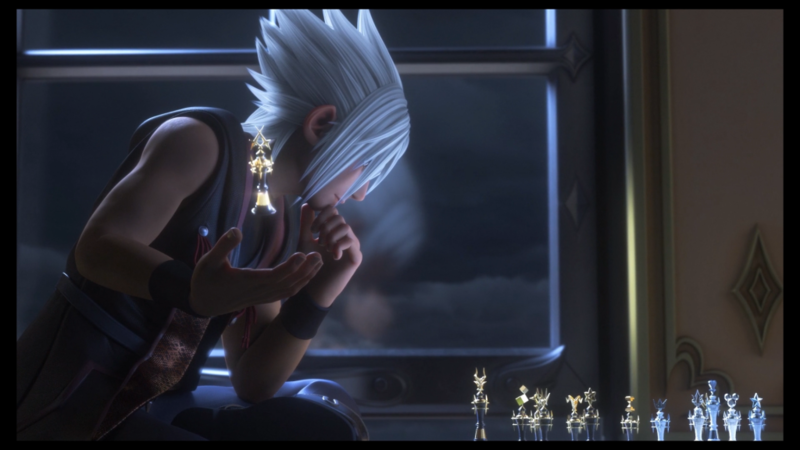 The animation is beautiful and the combat exceptionally designed to complement the new movements available to Sora. 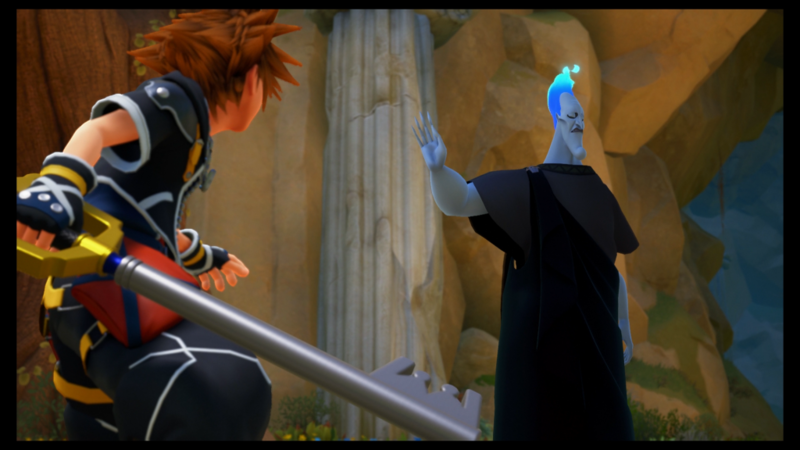 The narrative is complex and those diving into Kingdom Hearts III will have a difficult time understanding the game’s story. But those who stick with the adventure, despite the complex lore, will find one of the best action-adventure games this generation. The story of Kingdom Hearts III starts off simple. 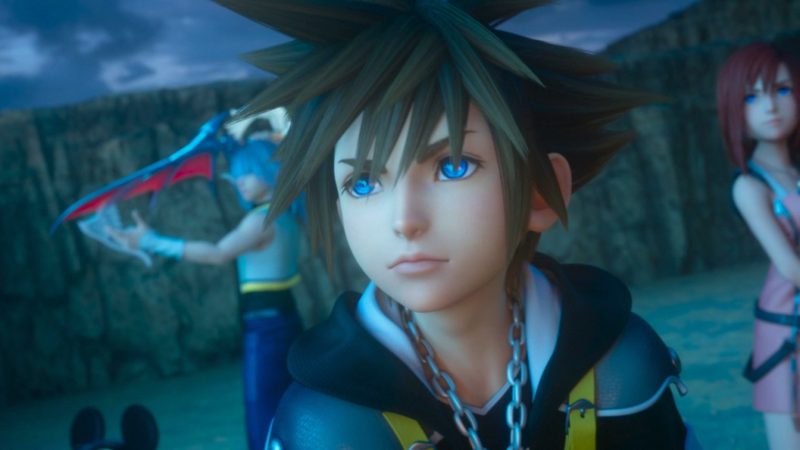 Sora, following the events of Dream Drop Distance, has lost most of his abilities and powers and must reclaim them, including the Power of Waking, to take part in the upcoming Keyblade War. A conflict that will determine the fate of all worlds and the balance of light and darkness. The narrative becomes increasingly more complex and those without prior knowledge of past games will become lost. Square Enix has included both optional content and in-game information to help deliver key points to the player but unless you do some research players will still find themselves confused. This isn’t the players fault as the game’s developers are self-aware of this, making jokes about having to cover long histories of each character and making sense of everything that has transpired. Perhaps one of the most confusing exclusions in Kingdom Hearts III was the Final Fantasy characters. Confirmed in past interviews, the director Tetsuya Nomura stated this decision was made to focus on the original cast and while some Final Fantasy characters were in past games for the fan service some played major roles in the game’s lore and story. Final Fantasy 8’s Squall was the first major figure Sora encountered and explained the Keyblade and Final Fantasy 7’s Cloud was a major figure in Sora’s understanding of fighting the Darkness in one’s heart. These were friends of Sora that helped fight against the Heartless and train the warrior into what he is today, seeing them gone in what is the most important game in the series was shocking. Combat in Kingdom Hearts III is definitely the high-point, with the combat system being built and expanded on Birth by Sleep and Dream Drop Distance’s mechanics. Sora is required to keep a sense of momentum using speed and defense to build up combos to perform specialized command actions based on what type of keyblade he’s using and what characters are in Sora’s party. This can include massive magical attacks or Disney ride attractions, each one is devastating and paramount to succeeding against the hordes of enemies. Sora will fight a wide array of enemies ranging from Heartless to notorious Disney villains. Each one is intricately designed to complicate the world Sora is in. You’ll find distinct and common enemies litter each world, each ending with an outstanding boss fight. Flowmotion makes a return that allows Sora to wall kick, spin on poles, and slide on rails with unique attacks linked to each. Unlike Dream Drop Distance the developers have reduced the damage and effectiveness of these attacks but not too much to not be effective, just not exploitative. Players will need to combine Flowmotion attacks with magic, keyblade formchanges, and other attacks to ensure victory. Summons have returned but are used as Link attacks. However, like past Kingdom Hearts games, the summons is lackluster in terms of damaged compared to other attacks. Using them usually involves wasting time and magical powers that could be better used for other more effective and powerful attacks. The lock-on system can also become problematic since it links to a specific enemy but doesn’t always keep the camera lock onto its position. Having enemies fly out of view is common enough to become annoying. Sora can now swap between multiple keyblades, allowing the player to quickly access specific weapons with better damage or magical attacks. You can further upgrade keyblades you prefer using the synthesis system but Square Enix has kept stats of each weapon within reason so players don’t just equip the strongest version of a weapon and encourage the use of each variation. The rest of the RPG system is basic and effective, gaining levels to earn action points that can be spent on different abilities and tactics and equipping armor and accessories with unique bonuses. Gummi ship combat has returned but with an open-world perspective. Instead of on-rail segments where you shoot hordes of enemies players now explore an enclosed space full of enemies and treasures to boost your Gummi ship level for new ships. 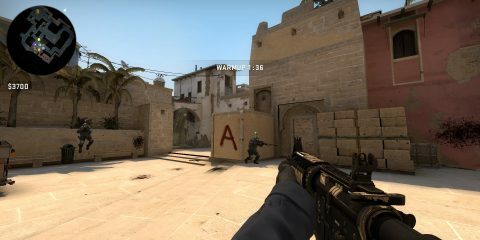 Players can choose from pre-built options or designed their own. More emphasis has been put on the Gummi ship combat, with tight controls and large-scale battles. Leveling is separate from the ground combat and players will need to dedicate time to gaining experience and unlocking new ships. Thankfully, leveling and earning ships is pretty fast so you won’t have to grind extensively for parts and experience. 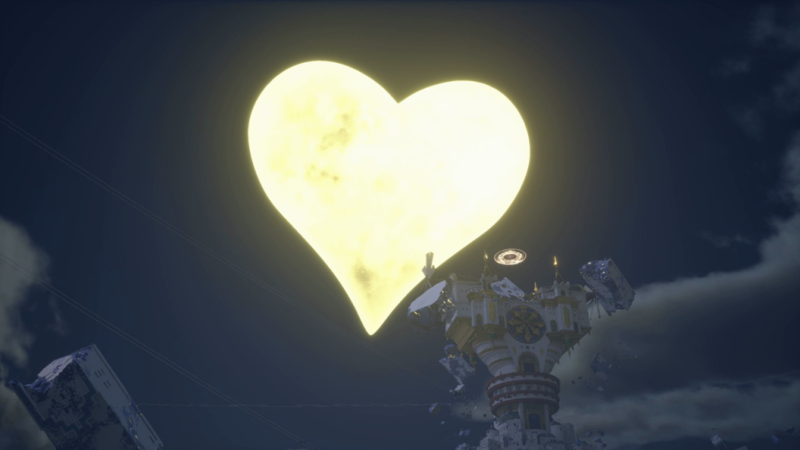 Kingdom Hearts III is a beautiful game. Almost everything in the menus pulse with animation and the detail in every environment, character model, and item shows that the team took extensive time with everything. The about of polish is staggering at times, with tiny details such as the command menu changing when Sora switches keyblades or Goofy’s shield having moving pieces often overlooked until the player notices. Even after 20 hours I was floored with how graphically impressive the game was. The soundtrack uses a combination of old and new musical scores. The Kingdom Hearts franchise is known for having outstanding music and here it’s no difference. The combination of iconic and new tracks helps give this adventure a distinct and nostalgic feeling throughout. Kingdom Hearts III is an outstanding game from start to finish. 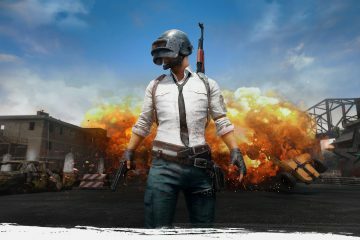 The story will require more dedication to understand and fully appreciate each one of these many characters, however, the strong combat system will keep gamers engaged until the end. Fighting your way through iconic Disney world and meeting the characters within these realms is still amazing, even if Final Fantasy has been removed from the experience. Kingdom Hearts III is one of Square Enix’s best games and one that shouldn’t be missed by anyone.